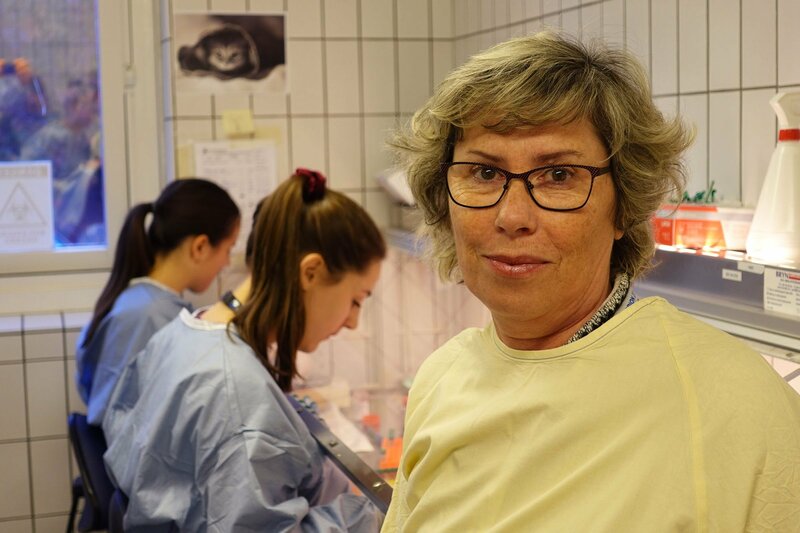 Sylvie Benestad, senior researcher at the Norwegian Veterinary Institute (NVI), is one of the main authors behind the article "A novel type of Chronic Wasting Disease detected in European moose (Alces alces) in Norway". This has now been published in the recognized online journal Emerging Infectious Diseases. The new type of Chronic Wasting Disease (CWD) has been called Nor16CWD. The article describes the three cases of CWD found in moose in Norway and how they differ from cases involving Norwegian reindeer, CWD in North America and other animal prion diseases. The understanding of the cases of CWD in Norwegian moose was built on the knowledge gained from other prion diseases (atypical forms of BSE in cattle and scrapie in sheep). The NVI, with Benestad, was central in the discovery of atypical scrapie in sheep, named Nor98 after its discovery that year. A disease that has not shown contagious behaviour, such as the classic scrapie. In cattle, atypical BSE was discovered in 2003 and as for Nor98, these are thought to occur spontaneously, especially in older animals. Knowledge of variation in prion diseases has led to different handling and management of the different types. "Since we now have new knowledge about variations in this disease group, also in our cervids, it can have consequences for future professional advice and management", says Benestad. The new discovery Nor16CWD shows, among other things, how the misfolded prion protein distributes itself in the brain of the moose. This is different from the other types of CWD. Also, the structure of the protein itself is different. Nor16CWD is only detected in the brain and not in the lymph nodes, which is common with other types of CWD. The diseased moose were 13 to 14 years old, while other types of CWD are found in far younger animals. In the case of Norwegian wild reindeer and deer in North America, CWD has behaved contagiously with horizontal transmission. Such a characteristic of classic CWD is probably linked to the distribution of infectious agents to lymph nodes in the body, in addition to the brain. Based on the work done in connection with this article, it is not possible to say whether the new type of CWD in moose is contagious between cervids. However, the number of tested moose, together with detection in the brain only, does not provide grounds for assuming that it is spread horizontally by normal contact between animals. The scientific publication was a collaborative effort by a wide-ranging international team of researchers from Italy, Norway, the United States, Canada and France.